The finalists of the 2018 Swiss Fintech Awards have been revealed. Loanboox and Pricehubble in growth stage startup category, and Proxeus and Viac in the category early stage startup. The four will again prove themselves at the Swiss Fintech Awards Night on March 15th 2018. The Swiss FinTech Awards seek to promote regional development through establishment of a strong Swiss fintech scene built by a connecting different players both from within and outside the Swiss borders. 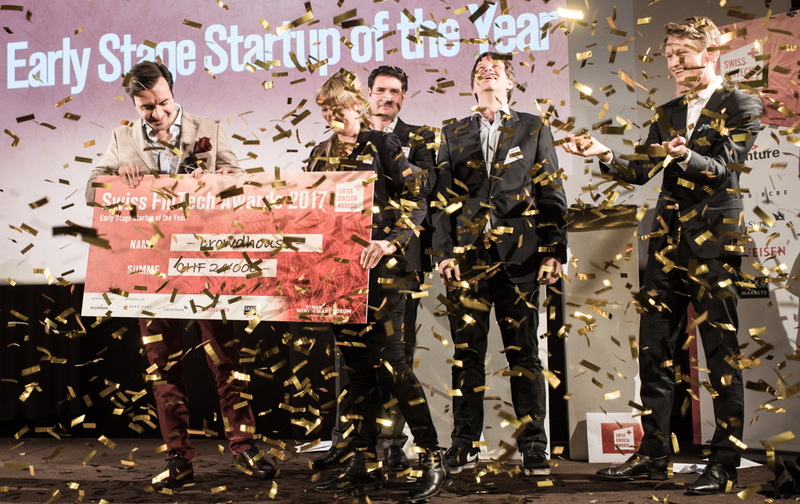 By recognising and awarding the most outstanding Swiss based fintech start-ups and influencers, the Swiss fintech Awards' committee comes a step closer to strengthening the Swiss fintech scene. The jury has nominated four finalists to compete in the final round of the competition. Two categories will be awarded. The early stage category consists of startups less than two years and have an investment capital of less than CHF 2.5 million. For the Growth stage category, the opposite applies. Proxeus – built a platform that allows anyone to create blockchain applications that are compatible with different enterprise systems. In contrast to today’s systems that rely on legacy infrastructure and are not able to interact directly with blockchains, Proxeus’ processes create a paper track in parallel to the blockchain process. This allows users to keep using legacy processes until they are ready to be phased out. No spepecific programming knowledge is required. Viac – developed an app that allows new generations to create a digital 3rd pillar account for their retirement savings. Few months after their launch, transactions of more than CHF 6.4 million from customers mainly between the ages of 25 to 40 were made. Loanboox – built money and capital market platform for public sector borrowers and institutional investors. The startup provides a simple, transparent, safe and low cost solution, benefiting both borrowers and lenders. More than 4 billion Swiss francs have been requested through Loanboox. PriceHubble – seeks to make real estate valuation and prediction easier by using machine learning. Their solution for online real estate valuations provides a large quantity of data concerning the location and neighbourhood as well as sentimental factors such as noise pollution and other emissions. In five weeks, the finalists of the Swiss Fintech Award will take the stage at the Finanz und Wirtschaft Forum “FinTech 2018- Digital transformation” on 15 March at the Dolder Grand in Zurich to present their solutions to the audience. The winner of each category will be announced during the Swiss Fintech Awards Night.